Spotify recent made waves when it made a major push to acquire podcast companies, including Gimlet Media in a deal rumored to be over $200 million. But what does that mean for our favorite existing podcasting platforms? 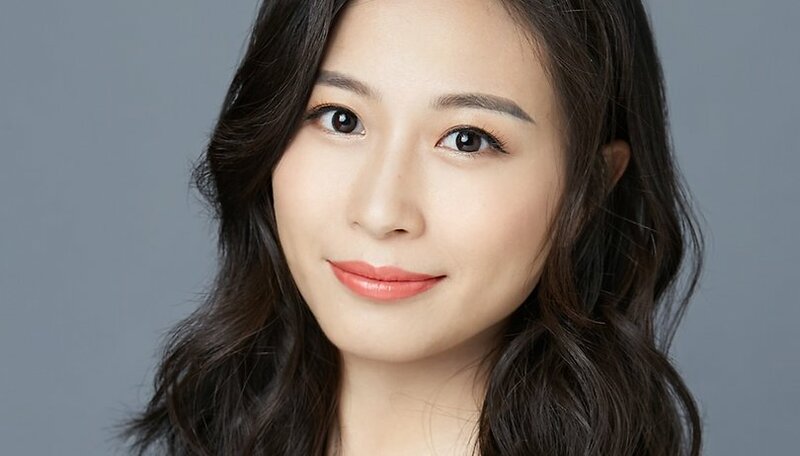 We talked with Renee Wang, founder and CEO of Castbox, to find out how she sees the future of the industry now that big players—and big money—are circling. So, when I read about Spotify’s acquisition of Gimlet and Anchor, my first thought is that more established rivals in the podcast industry wouldn’t be too thrilled. Spotify is going to want to attract more users and lock them in with exclusive content, which could mean providers like Castbox, Pocket Casts and on could lose out? Podcasting is still a nascent industry so we don’t view it as a zero-sum game. Instead, we see Spotify’s move to double down on podcasts as an expansion of the industry and validation that the spoken audio space has enormous potential that’s still waiting to be tapped. Gimlet and Anchor’s combined valuation also sets a new benchmark for industry stakeholders and reflects an ongoing shift in the way people consume content in the mobile-first era. Music and podcasts share many of the same qualities but they’re still two very different mediums, each with its own nuances and user behavior. It’ll be interesting to see if and how Spotify will bundle exclusive, original podcast content with their premium subscription tier. Spotify’s users are already primed for the subscription model, so we’re hopeful that this will help change listener perception around paid podcast content, which is something that’s beneficial to podcast creators and platforms alike. Obviously, music and podcasts are very different media, even if they are both in audio form. What do you think are the challenges ahead for Spotify in its podcast strategy, and to contrast, how do you approach the user experience as Castbox, a dedicated podcast platform? The biggest difference between music and podcasts is the listener journey, from the way people discover the content and the motivators that drive listens to the way people consume the content. When someone discovers new music, they’re generally searching within a couple of generic genres, but the average podcast listener subscribes to many different genres like comedy, business, news, self-improvement, etc. This means a podcast recommendation engine has to be much more robust and curated than what’s needed for music discovery. Part of the reason why discovery is such a big part of podcasting is that people listen to podcasts for many different reasons. In addition to entertainment, listeners also turn to podcasts to learn and grow as individuals. People also listen to music again and again, which isn’t the case for podcasts. Most listeners will only listen to a podcast once, so playlist organization and playback controls should be different than what a music player offers, not to mention that content discovery is a much more active process. Spotify’s AI-powered recommendation capabilities are strong in music but are still underdeveloped when it comes to podcasting. As a dedicated podcast platform, our goal is to deliver the best podcasting experience possible for both power users and casual listeners by offering UI and features purpose-built for podcast creators and listeners. This focus is what differentiates us from a platform like Spotify’s that’s trying to do it all. From our deep-in audio search feature that allows listeners to search key terms and exact phrases within the actual audio to our personalized recommendations powered by advanced machine learning technology, we give podcasters the tools and community to discover and consume the best podcast content for them. Google’s own native podcast solution remains underwhelming despite all of Google’s resources that could have made the service excellent. As an ex-Googler and head of a more successful podcast platform yourself, what do you think happened here? Part of what makes Google such an innovative company is just how wide their reach is. Google has its hands in everything, so podcasts are just one piece of the puzzle that competes with many other priorities. That doesn’t mean that Google’s native podcast solution isn’t destined to grow into a major player, but they’re not as agile as dedicated podcast startups like ourselves. And historically speaking, Google has always empowered its third-party partners to bolster its ever-growing community. Ultimately, big players like Google and Spotify getting more involved in the podcast space is great news for the industry as they can reach and educate new listeners at a massive scale. For example, we saw our user growth spike when Google launched Google Podcast in 2017 and again when Spotify started pushing into podcasts in 2018. Spotify's acquisition of Anchor took us by surprise, but it could make it easier for new podcasters to produce shows and host them directly onto a big platform. It could also be very one-sided, as with YouTube, where many creators work in fear of sudden cuts to their content or revenues based on opaque algorithms, without good alternatives to host on. How does Castbox see the ideal relationship between creator and platform? The podcast industry today is built around open distribution across all platforms, which is ideal for content creators, but it’s possible that it may become more reclusive if a big platform like Spotify captures a majority of the market. The ideal podcast platform should serve both creators and listeners. However, we believe that the true value of a content platform is the relationships it facilitates, not the actual product. The ideal podcast platform should serve both creators and listeners and try to build direct connections between them. Not only is a podcast platform responsible for storing and distributing content, but it should also help creators grow their followers, get listener feedback, interact with fans, and eventually monetize their following. Listeners should be able to share their opinions, have their voices heard, and support their favorite podcast creators. We’re currently working on a number of community-driven features to make the podcasting experience much deeper and more engaging than what it is today. Podcasts are a relatively new type of media and still a small industry compared to video. Anyone betting big bucks on podcasting now obviously wants to see more growth, expansion into new markets, better monetization. I also wonder if this will mean more podcasts with high production values targeted for mass appeal being promoted over more DIY content. How do you see podcasts evolving in the next few years? As more money flows into the podcast industry and the listener base grows, we will certainly see a rise in podcasts with high production values and top-tier talent to appeal to wider audiences. Scripted shows, in particular, are becoming wildly popular as Hollywood and big studios turn their attention to the podcast space. Almost one big show is launching every week from top producers, such as The Drop Out from ABC, Phil in the Blanks from Dr. Phil, Mobituaries with Mo Rocca from CBS, and the list goes on. One of the biggest trends we’re seeing is the emergence of podcasting as an IP incubator for Hollywood. More and more podcast shows are being adapted into television shows and movies, not very different from how books are turned into blockbuster films. We're seeing the emergence of podcasting as an IP incubator for Hollywood. However, DIY podcasts will continue to grow alongside the industry. Similar to other forms of digital media like video, podcasts give a voice to many independent creators. And just like we saw with online video, we’ll soon see a new breed of homegrown podcast talent because DIY shows provide a much more intimate and authentic way for listeners to consume content around niche topics. I listen to podcasts more often than music from my smartphone. Consumers today are overwhelmed with video and other visual stimulants while our attention spans continue to dwindle, so there is a conscious shift towards less screen time and more audio. The podcasting space is still undervalued compared to the potential audience size and engagement level. In the next few years, we’ll see this space grow exponentially in terms of widespread content consumption and also monetization for both creators and platforms. Do you listen to podcasts? Which shows and platforms do you prefer?